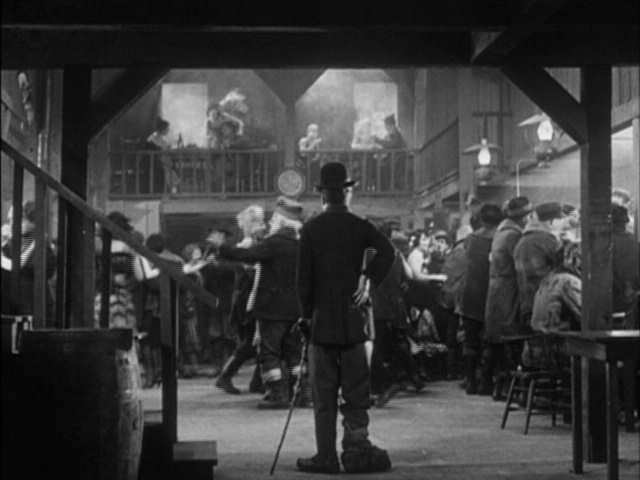 The Gold Rush (1925) is the film I thought I was going to see a few weeks ago, but which turned out to be the 1943 version where Charlie Chaplin added sound. In The Chaplin Collection for the film, the 1925 version is on disk 2 (the bonus disk). I can say with confidence that the 1925 version is superior. And I think the reason is, the movie was intended to be silent, and therefore is weakened with the addition of sound. 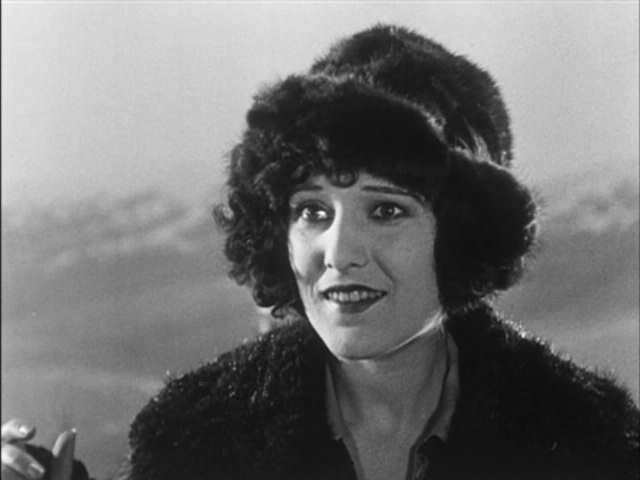 Also, the 1925 version has some differences, including a pretty crucial change in Georgia's statement of feelings toward the tramp. 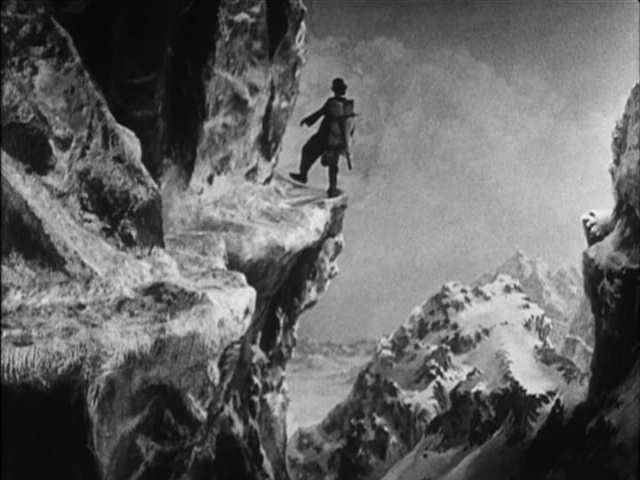 In this (better) version, the casual cruelty toward the tramp is heightened, though it does leave more questionable Georgia's motivation at the end. I found myself laughing more often. I even preferred this piano score to Chaplain's own. Highly recommended. Rent and enjoy! One of the most recognizable characters in history. The tramp--inadvertently roped to the dog--is about to have his dance interrupted. 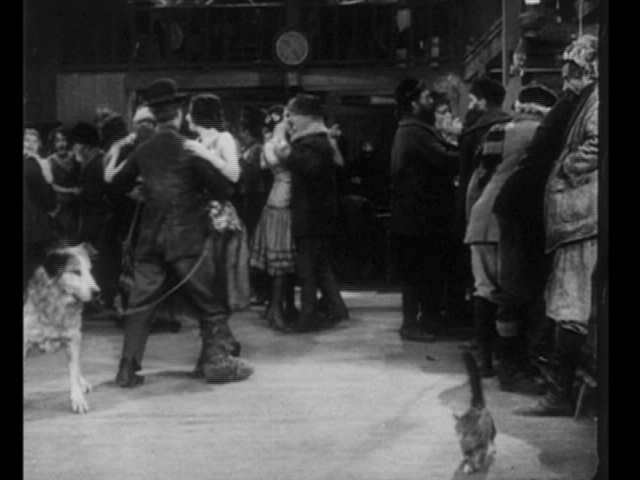 This is not only a very funny sequence, but amazing in how they manage to dance around the dog's aimless walking. The famous dancing rolls routine. 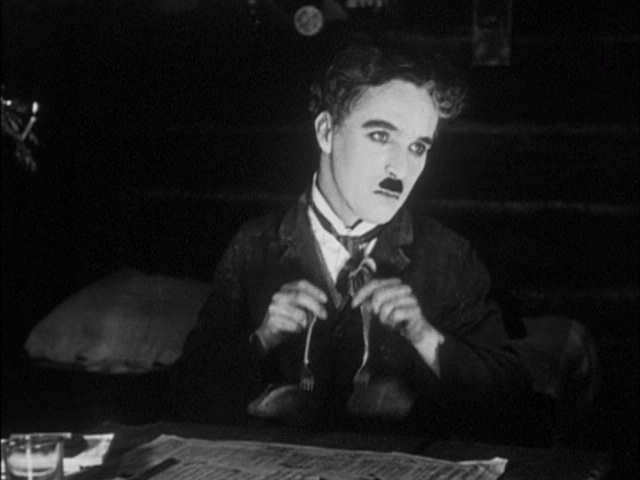 Part of the genius is Chaplin's serious expression, as if he were performing a pax de deux from Sleeping Beauty. Harpo Marx has the same expression when playing the harp.